Tri Strut TR3 Composite provides strength, stability and consistent performance. Two independent walls create a dynamic springboard hitting surface. The dual density internal cap is full of load balancing triangles. 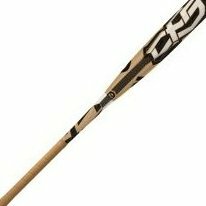 The CF5 -10 is for senior, youth, big barrel, and travel leagues. the tightest/strongest composite DeMarini have developed.